برگزاری مراسم آتش بازی ۶ دقیقه ای انتهای سال 2013 در دبی با صرف ۶ میلیون دلار و برگزاری در بیش از 400 نقطه از سواحل دوبی با پوشش مساحتی به وسعت 94 کیلومتر رکورد بزرگترین آتش بازی را در کتاب رکوردهای گینس ثبت کرد. 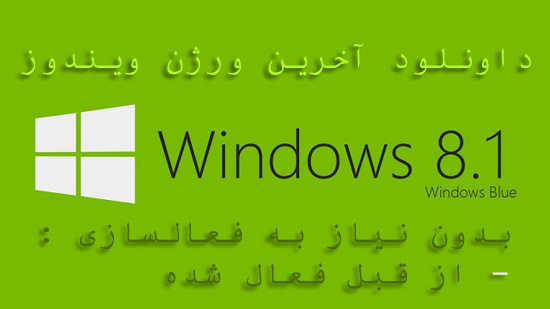 رکورد قبلی در سال 2011 و آتش بازی یک ساعته و استفاده از 77 هزار و 282 آتش بازی متعلق به کویت بود. در مراسم آتش بازی دوبی که تنها شش دقیقه بطول انجامید تعداد 500 هزار آتش بازی انجام شد که فقط در دقیقه ی ابتدایی این مراسم رکورد قبلی شکسته شد و ادامه ی آن برای حصول اطمینان از در اختیار داشتن این رکورد برای چند سال آینده صورت گرفت. برای انجام این آتش بازی بیش از ۶ میلیون دلار ( حدود ۴ میلیون و ۴۰۰ هزار یورو هزینه و در مدت زمان ۱۰ ماه بیش از ۵۰۰۰ ساعت کار صرف شده است. عمده ی این آتش بازی در دو نقطه از ساحل بلندترین برج جهان : برج خلیفه و هتل آتلانتیس انجام شد. Dubai's 2014 fireworks display went straight into the Guinness World Records Book, after shattering the previous record set by Kuwait in 2011 with 77,282 fireworks in an one-hour show. The emirate' six-minute show displayed over 500,000 fireworks and spanned across Dubai's coast. For the amazing show to happen, technicians had to plan for almost ten months, in more than 5,000 hours of work, and every detail had to fit perfectly with the others in order to have the perfect display. 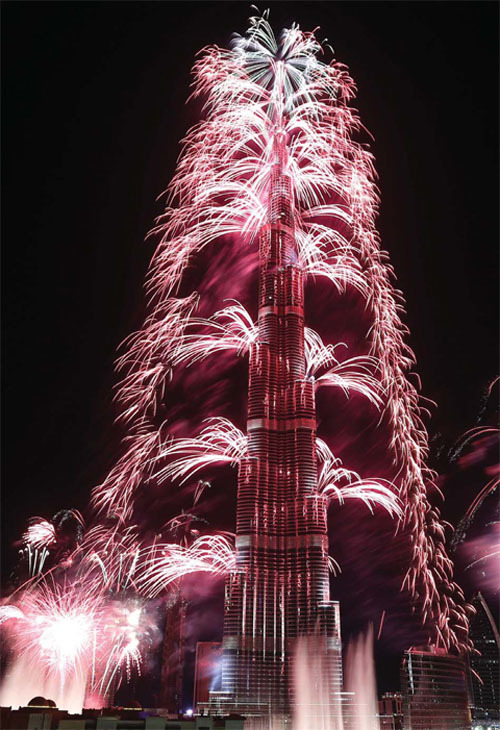 The show spanned 58.5 miles (94 kilometers) across the city's coast in over 400 locations, engulfing the man-made islands and Burj Khalifa into an amazing display of colored explosions. The first minute of the show was enough to break the record held by Kuwait, and the following five minutes will just ensure the record holding for a few years at least. The world's tallest tower, Burj Khalifa and the luxurious Atlantis hotel from Palm Jumeirah were the main display locations. The record for the World's Biggest Pyrotechnics Display is just the most recent one added to Dubai's portfolio as it also holds the title for the World's Tallest Building for the Burj Khalifa, the World's Largest Man-made Island and the World's Tallest Residential Building, among others. “The celebration marked the end of a momentous year for Dubai – a year which has laid the groundwork for a prosperous future. Once again, this New Year began with images of our emirate being shown around the world,” Helal Saeed Almarri, Dubai's Department of Tourism and Commerce Marketing spokesman said, according to International Business Times. The cost of the amazing fireworks display and for Dubai's name to be written in one more Guinness category was of almost $6 (€4.4) Million. The spectacle was live-streamed for the world to see, and in order to celebrate along the ones lucky enough to see the display from up-close. Watch the full-length fireworks display in the video below, or skip to 29:40 for the peak of the show.